Party Time Tuesdays: A little more inspiration....From Dawn. A little more inspiration....From Dawn. Dawn went 3d with her anything goes project! Just another example that you don't always have to make just a card to enter our Anything Goes challenge. 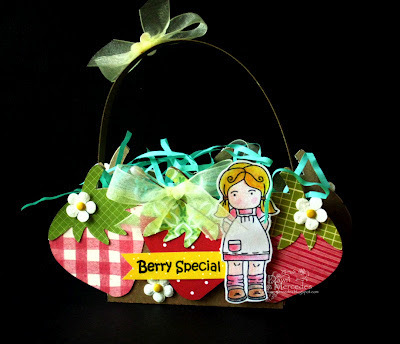 Don't you just LOVE this adorable strawberry basket? This is so adorable. I love how she did the strawberries and the image is so cute.